At VacAir Superstore we have an extensive range of hire pumps for many requirements. Maybe you need a new pump and don’t want the associated costs, you might have a pump you want to part exchange for a new one, or you have had a unit fail and need to get back up and running as quickly and cost effectively as possible. By utilising our extensive range of hire or refurbished pumps you can keep your machines operating with minimal downtime as all of our pumps are on the shelf and ready for same day dispatch. Our refurbished pumps have been fully stripped and rebuilt in our state of the art pump workshop, each pump is then bench tested to ensure they perform to their name plate standards. Each refurbished pump is then re sprayed to give a “like new” finish and placed on the shelf ready for same day dispatch. 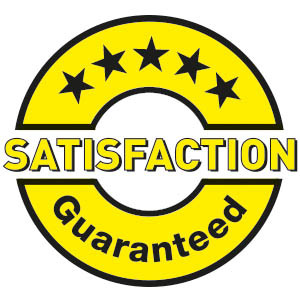 Be assured that each pump we sell comes with our comprehensive satisfaction guarantee, this means that you won’t be let down with any pump you purchase from VacAir superstore. Do you have a pump you would like to exchange for a new one? If your current pump isn’t performing to the standards it once did, maybe it’s time to consider part exchanging it for a new one before it’s to late! We have a quick swap policy, simply send us your old pump and we will return a brand new pump the next day, it’s that simple. No down time, no hassle, just a quick and easy way to run at your optimum again. If you are changing machines and only need a temporary pump, or you need a pump for a temporary application, such as keeping your machine running whilst we quickly repair your existing pump, then the VacAir Hire scheme is ideal for you. Simply let us know what your requirements are and how long you require the pump for and we will send you the relevant pump. By utilising our hire, service exchange and refurbished pump facility allows you to remove any problems with your current pump or potential pump problems.